In a large mixing bowl, chopped mango, cucumber, onion, mint leaves. Now mix salt, red chilli powder, roasted cumin powder, black salt and chaat masala with above ingredients into the mixing bowl. Now roast papad on medium flame. and immediately make a shape of Katori with the help of a small bowl. Take one Katori and fill up with mango mixture. 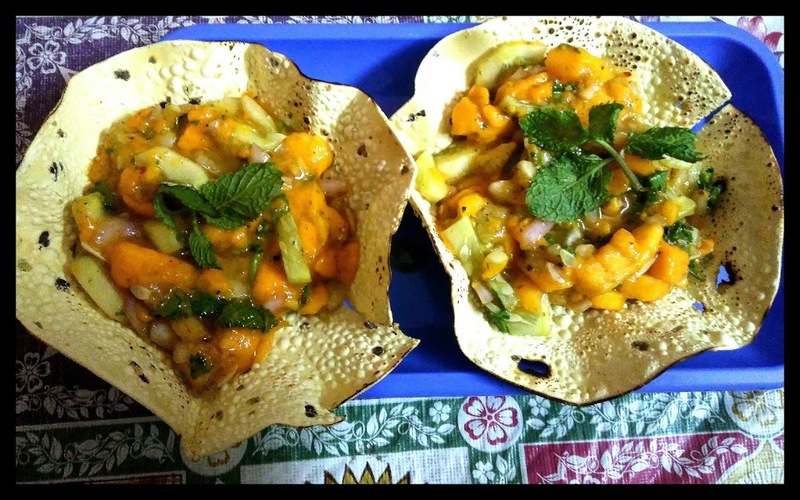 Garnished with the mint leaves and served as a side dish or as a chatpata snack.